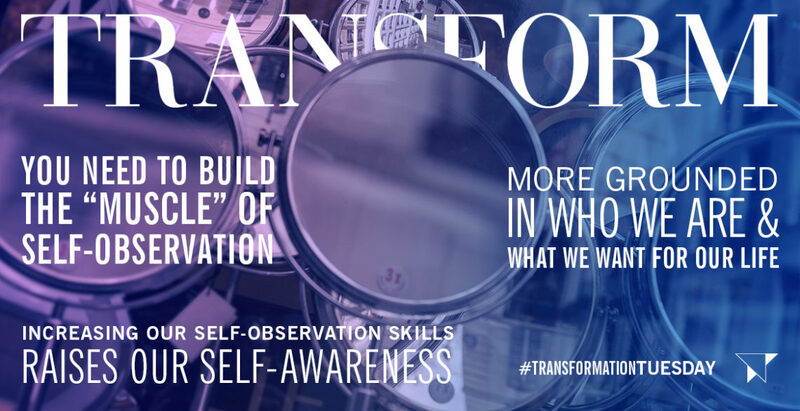 Increasing Self-Awareness through Self-Observation | Transform, Inc.
Our theme this month has been self-awareness and I can’t let this month close without talking about the skill of self-observation. Self-awareness arises from our ability to know ourselves from the inside-out. Self-observation is the skill to do that. In each of us, we have an “Inner Observer,” that part of our self that observes what is happening inside of us – our thoughts, feelings, bodily sensations – at any given moment. 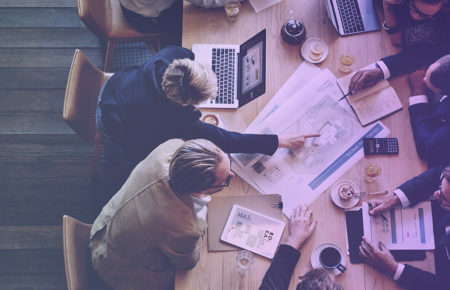 While the Inner Observer is always noticing, we often are not tuned in and miss the inner cues and signals that can make or break an interaction with another, our response to a situation, or an outcome that we want. I remember a moment of real self-observation years ago. As my two sons, then 16 and 15, were driving away from our house I thought “What would happen if I lost them?” The thought startled me so much I felt my body froze. I stopped to observe what was going on inside of me and started by checking in with my head: My first thought was “that is ridiculous!” but then, I named what I was doing – projecting into the future, imagining the worst, and the next thought was a question, “Why do I do that?” It was a familiar thought pattern I hadn’t noticed before then. As I entertained, “the worst,” I then checked in with my heart and it was noticeably racing faster than usual, I could feel tears arising, in my eyes, and I felt a sinking feeling in my chest. Mind you, this was all in about 10 seconds! I stayed with the feelings for a little longer and then I shifted my attention to my gut and instantly I knew that the reason I did that was to prepare myself for the worst, should it ever happen. The thinking pattern is this: if I think and feel it now, I’ll be prepared to handle it should it happen. Today, I can say, “Isn’t that crazy?” but for many years that coping mechanism worked unconsciously until that particular moment. In my case, self-observation led to self-awareness and what did I do with it? Aware of my tendency to do this, I now catch myself sooner when I am projecting into the future I name it, “projecting.” Then, I decide if I want to engage the thoughts any more. Most times, I just let it go and go on with my day. One of my Enneagram teachers, Dr. David Daniels, would always say “Self-observation never becomes habitual; it requires continuing practice” (pg.73, The Essential Enneagram). I so agree. When teaching self-observation skills to our clients, I compare it to developing a muscle. When you want to build a muscle, what do you do? You work out with some level of frequency with the goal of increasing the weight – the poundage – as your muscles get stronger. Well, it’s very similar with self-observation. You need to build the “muscle” of self-observation through a practice we call, 3-Centered Awareness. This practice can take less than one minute to do, and often I’ll do it at a red light, or when I’m walking my dog, or before I go to bed. I challenge you to practice it every day for 30 days. What I know to be true is increasing our self-observation skills raises our self-awareness enabling us to be more present in the moment, able to handle whatever comes our way in any given moment, more intentional in our interactions with others, and finally, more grounded in who we are and what we want for our life. Take the 30-day challenge and let us know what happens!